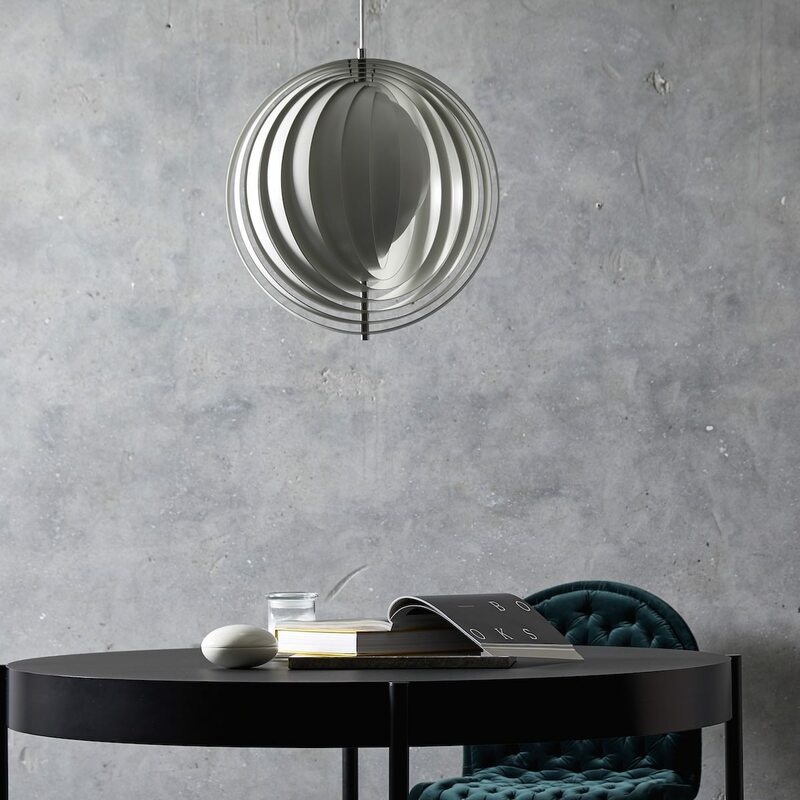 Spherical lamp with vertical lamellae, arranged like a fan, for individual regulation of the light. Pendant distinguished by a bell-like, widely flaring shade which is mounted with the aperture facing down. Verner Panton (1926-1998) introduced a series of modern lamps with personalities unlike any of his Scandinavian contemporaries. With a remarkable faith in the unlimited possibilities of the form, he worked successfully to create a new set of theories about how lighting should work and how it should influence its surrounding.